If someone were to ask me to write about a treasure I have, three years back I would laugh in self-pity and say nothing while I had everything and hadn’t seen. You need to be in the dark to appreciate the light and when that happened I accepted it with grace, fought and still learning from it. So among the many treasures, I possess, the ability to derive pleasure from small things is my latest pleasure. It is one of the most underrated pleasure but trust me very important to stay afloat and remain positive at bad times. I have come to realize that real happiness isn’t in large or big things. It is in those simple pleasures of life that you have sometimes taken for granted, those long soothing talks with your mom or the coffee break with your colleague or the late night walk with your partner to cheer you up or those healthy delicious packed tiffin boxes from home. These pleasures you miss only when you are deprived of it. Maybe that is the beauty of this newly found treasure, you find new meaning and its real value only after you lose it. I am content with this treasure, help it let me move ahead, love my dear ones fiercely, love myself a little more, be a kid with a kid, let the smell of jasmine know its presence. Life isn’t all colourful but is certainly beautiful with this treasure. These tiny pleasures are truly our biggest treasures. A lovely way of looking at life, Ramya. Little pleasures are truly treasures. 🙂 I’m happy to read this, and I agree with you. Discovering this treasure is a journey in itself and its a very personal one – I am really happy to know you have found it as it takes people (like me) a lifetime to discover it! One of friends used to say find happiness in small small things. Your post reminded me of that. Beautiful post. All of life is little things. Well said, Ramya. Little things make us life more beautiful. So true, Ramya. Stay blessed always. Being able to enjoy the little pleasures in their entirety is a gift that makes mindfulness a prized possession of life. Agree… small pleasures give us huge happiness. Should be treasured . Completely agree with you. My treasures are my family, my friends and our health. Always desiring more instead of looking at, and being happy with, what you’ve got is not going to end well. So true. The little things are actually the big things in life! It takes a lifetime for many to realise this truth, Ramya. So very true, deriving pleasure from small things is a real treasure. I realised this sometime earlier when I had an accident and had an insight about life and what it would be to not be there at the moment. 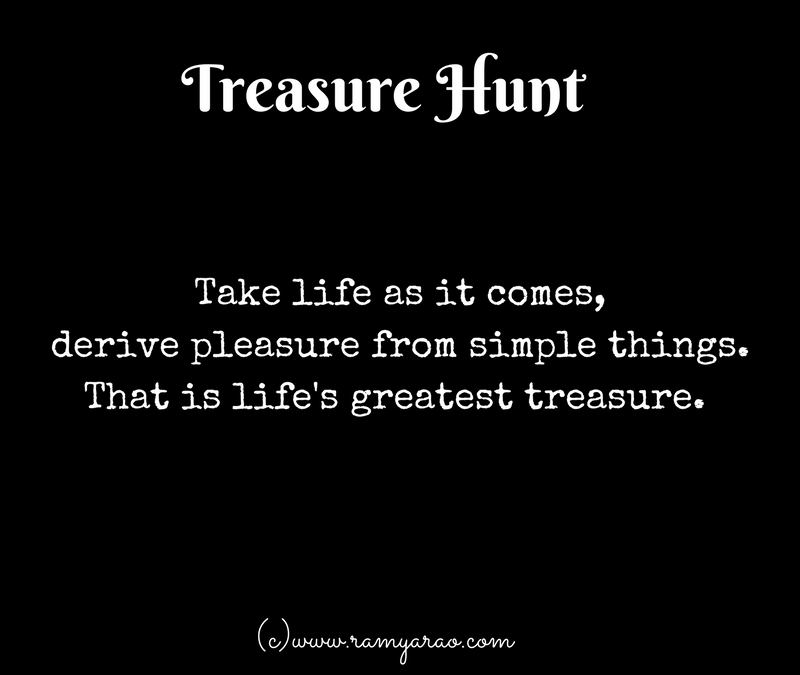 I agree with you ramya, indeed the little pleasures are worth a treasure! We often end up undermining them but those memories are the best. As u pointed out, its true that only at darkest of times one value a ray of hope!